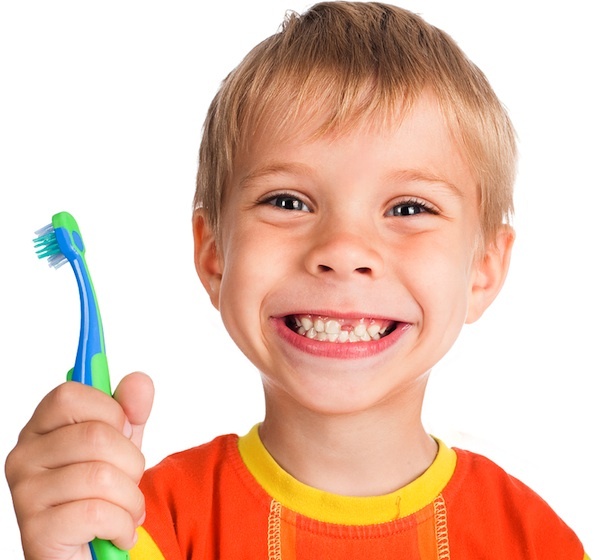 So you’ve done it: you’ve gotten your child in the habit of brushing their teeth twice a day. Good for you! But would you feel terrible if we told you that only half of the battle was over? It’s not only important to get your kids to brush their teeth on a regular basis, but it’s important to make sure that they’re brushing properly. After all, the habits they’re picking up now will likely last them the rest of their lives – if all goes according to plan. If they brush for twenty seconds and only on their front teeth, then they’re not exactly following the dentist’s orders. So how do you get your kids to brush all of their teeth, and not just that, but brush all of their teeth every time? Let’s take a look at five tips that can help you accomplish precisely that. Tip #1: Follow the App! If you were able to get your child to brush their teeth using an application like StarTeeth, then you should already know that these applications can do a good job of making sure kids brush their teeth properly. You may want to check in on your child from time to time to ensure that they’re actually following the instructions – and keep an eye on your child until the habit is established. Hopefully, if they’ve followed the app strictly, they’ll know how to brush their teeth better when they no longer need it. It takes a good two minutes to do a comprehensive brush, which means that if your kid seems to vanish into the bathroom and reappear just as quickly, telling you they’ve brushed their teeth without you noticing, then there’s a chance they’re simply doing it too quickly. So try and monitor your kids when they’re brushing their teeth even if it’s simply to check how long it takes. Tip #3: Do They Know What They’re Doing? After all, you don’t want to give your kids all the wrong habits simply because you were afraid to show that you don’t exactly know how to brush your own teeth. So research up – know that it’s best to go in circles on your teeth, not to mash the toothbrush in, and make sure that all of the teeth get brushed at some point. 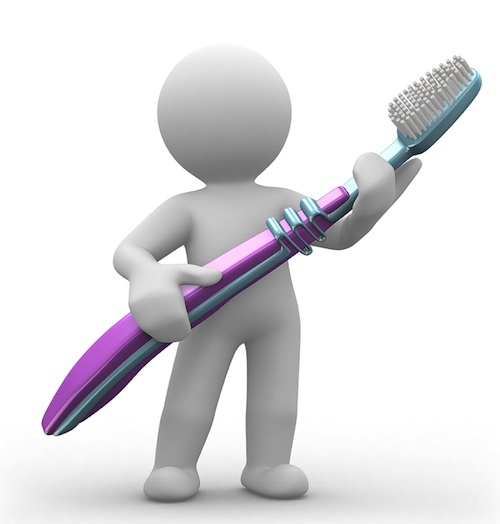 There’s no better way to lead than to lead by example, so make sure that you’re brushing your teeth along with them. You can coordinate your brush moves, switch sides at the same time, and even make it into a little game. If you ask your child if they’ve brushed all their teeth, you can expect a quick “Yes” – whether or not they’re being truthful. So instead of asking them, stop worrying about what they’re saying and start making sure they’re doing it. Simply checking to see if their toothbrush is wet or their teeth are clean after the meal will suffice. Chris Turberville-Tully is a marketing strategist for Dental Implants Clinics, a directory of surgeons in the UK specializing in dental implants. Visit their website to find a clinic near you. Great tips. I don’t think my kids actually brush as well as they could. Awesome tips, sometimes you got to get a little creative. These are all great tips but the one I like the most is Tip#4, our little ones pick up so fast on everything that we do. I need to do the timer. My little guy goes too fast. Doing it together works best for us. Thanks for the great tips. I have a hard time getting mine to brush on their own. Our kids have toothbrushes equipped with blinking timers! Best invention ever and under $5 a brush. During the school year I brush their teeth in the morning, and they brush in the evenings. It doesn’t happen during the summer, though. But who knew there was an app for that? Thanks for sharing! I use to love to brush my teeth with my kids. It is great to start good habits young. Thanks for the great tips! Great tips! I need to get a timer! Jake used to do a quick job on teeth brushing when he was younger and I would always send him back in there. He’s 15 now and is really good about personal hygiene. I am going to check on the app — our kids HATE brushing their teeth but they love the iPad. Maybe we can get their love of technology to turn their minds! I always have to check behind my daughter.